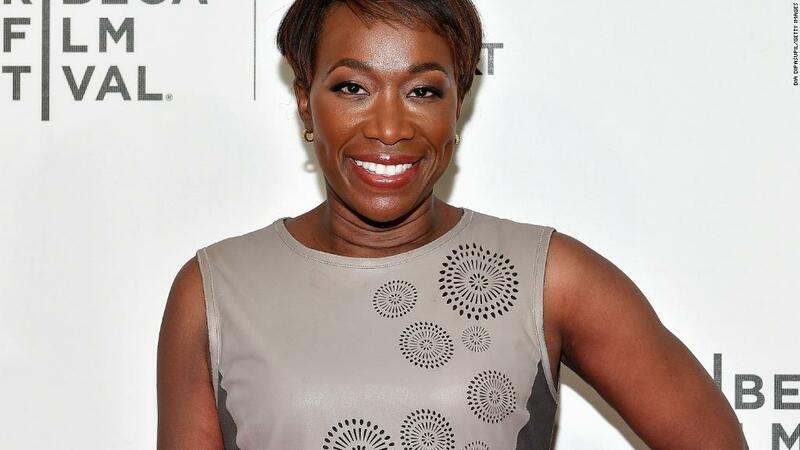 An attorney representing embattled MSNBC host Joy Reid said Wednesday that the FBI has opened a criminal investigation into various online accounts belonging to her, adding yet another layer to a convoluted saga that has bewildered the media world. Reid has raised eyebrows this week with her assertion that a number of newly unearthed homophobic posts ostensibly from her now-shuttered blog were actually the handiwork of someone who infiltrated her account. In a statement on Monday, she said she and her representatives had "notified federal law enforcement officials of the breach." And Tuesday night, a cybersecurity analyst hired by Reid said that, along with his own investigation into the matter, he is cooperating with federal law enforcement. On Wednesday evening, Reid's attorney, John H. Reichman, released a statement through MSNBC. "We have received confirmation the FBI has opened an investigation into potential criminal activities surrounding several online accounts, including personal email and blog accounts, belonging to Joy-Ann Reid," Reichman said in the statement. "Our own investigation and monitoring of the situation will continue in parallel, and we are cooperating with law enforcement as their investigation proceeds." In keeping with its usual practice, the FBI did not comment on whether or not it is conducting an investigation. "All I can state is that the FBI has the data," Jonathan Nichols, the analyst hired by Reid, told CNN in a phone interview Wednesday. "That's essentially all I can say." Reid's claim that the posts were fraudulent and the result of a hack was met with immediate and widespread skepticism. The scrutiny only intensified after a representative for the Internet Archive, a nonprofit dedicated to storing old digital content, said Tuesday that the organization could not verify the claim. Links to Reid's old blog were stored in the Wayback Machine, a service run by the nonprofit. Reid's attorney appealed to the organization to remove the archives for the blog because the archives contained the allegedly fraudulent posts, but the request was denied due to a lack of evidence supporting the claim. But at some point, unbeknownst to the people working at the Archive, the archives were removed from the Wayback Machine via an automated process. The additional explanations offered by Reid's camp have done little to quell the doubts being expressed by observers throughout the media. In a statement released Tuesday, Nichols said he has "significant evidence indicating that not only was Ms. Reid's old blog compromised," but that some of alleged blog posts "may be the result of screenshot manipulation with the intent to tarnish Ms. Reid's character." But Nichols has offered little in the way of that evidence; in his interview with CNN on Tuesday, he claimed that Google no longer has server logs related to Reid's now-shuttered blog. Alphabet, Google's parent company, did not respond to CNNMoney's multiple request for comment. Nichols suggested that someone may have found a password on the "dark web" and used it to access Reid's account on Blogger.com, which is owned by Google, an operation he characterized as simple. And Nichols insisted that he nor Reid aren't suggesting that the Internet Archive or other archival sites were hacked. "We are claiming that Joy Reid's blog was hacked, and that anybody who archived it has the fraudulent post on their website," he said. The posts in question, many of which contain homophobic sentiments, appear to have been archived at a time when Reid's blog was active -- suggesting that she didn't notice contemporaneous fraudulent posts on her site. Some of the disputed posts do not diverge that significantly from other content on the blog. And she apologized in December for other homophobic writings that appeared on the blog. But Reid is adamant that the newly discovered posts are fraudulent and that she was hacked. Still, there has been some fallout. An LGBTQ advocacy group rescinded an award it intended to give to her next month, and a top editor at The Daily Beast -- where Reid is a columnist -- said Wednesday the publication was putting her column on "pause" until it can sort out the matter, and that two of its reporters are investigating her claims. But crucially, MSNBC has remained in her corner, although not loudly. While the network has yet to put out an official statement on the matter, representatives there disseminated the statements from Reid's cybersecurity analyst and attorney. -- CNN's David Shortell and Oliver Darcy contributed reporting.